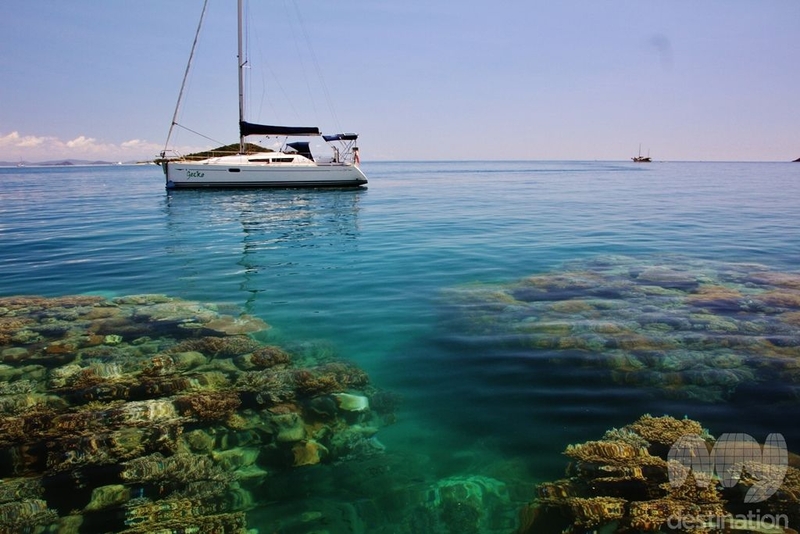 There’s no better sailing experience in the world, than in the Whitsundays! The Whitsundays, there’s no better place in the world to get out onto the ocean and enjoy the warm breeze, the crystal clear ocean, and all the peace and tranquilly that comes with it. Lazy days aboard with the wind snapping at the sails, and the ocean lapping at the sides are the only sounds you’ll hear until you choose to anchor for a spot of snorkelling or perhaps to explore an island. The experience is simply magical. Sailing in the Whitsundays is a popular pastime. If you have sailing experience you can hire your own boat and explore. If you don’t have the experience, or if you prefer to have someone aboard with knowledge of the local waters, you can charter a crew or skipper who will ensure your safety and your pleasure; taking you to all the best places and some of those which are closely guarded secrets. If you only have the day there are many places to explore, but if you have two days or more, there are many incredible sights from Aboriginal rock drawings to forested islands to discover. For the very best Whitsunday sunsets visit Stonehaven on the north western shores of Hook Island. Here there are plenty of public moorings, as well as excellent opportunities for snorkelling. There simply isn’t a better way to end the day than exploring the underwater world of the reef, before sitting out on deck with a glass in your hand watching the last of the day’s vibrant rays setting on the horizon – it doesn't get much better than this, unless…. You visit the other bays of Hook Island, Butterfly Bay, where if you venture ashore at the right time of year you will be rewarded by the sight of thousands of blue butterflies in the bush. You can also visit places with names such as Maureen’s Cove, Manta Ray Bay and Pinnacle Bay, named after twelve coral cones which offer superb hideouts and places to play for sea turtles, stingrays, enormous clams, dolphins, and large schools of tropical fish. Moving on from Hook Island are another two favourites, Langford Island and Nara Inlet. Langford Island is the perfect spot to picnic on the long sand spit, and it’s also a popular with snorkellers and diving beginners, as the beach water entry makes for easy access to the water. Nara Inlet is a fiord-like inlet with steeply wooded hillsides reaching down to the water. After rain, small waterfalls cascade down the rocky faces to the shore and provide refreshing shower facilities. For those perfect pictures of your boat, and the opportunity to see some aboriginal rock paintings, climb the hill and explore the caves before moving on just a little further to a flat, rocky outcrop overlooking the bay for some of the best views of the bay. As well as some of the smaller, less well known islands which offer a get away from it all experience, the Whitsunday’s other islands and the mainland at Airlie Beach also provide excellent facilities for sailors of all kinds. Airlie Beach is probably where you’ll pick up your boat, but as well as having excellent charter facilities, the town has some fantastic places to eat, and some excellent shopping and entertainment options. Hayman Island is the Whitsundays five star private resort, and home to Blue Pearl Bay and Dolphin Point, some of the area’s best snorkelling and diving locations. As you would expect from an up market resort, moorings must be reserved in advance, you are expected to eat lunch or dinner at the resort, and there is a strict dress code even for day visitors. Ask your skipper about this. Perhaps the most well known island, and the one with some of the best facilities, is Hamilton Island. Here you can step ashore and enjoy a round of golf, and if you can’t wait to get back on, or in the water, there are endless water sports and the resort pools to enjoy. If its wildlife you’re after, take a hike to the Island’s native animal zoo, it has all the kids’ favourite animals. Sailing around Hamilton Island is relatively easy; however, take extra care near the harbour entrance as this is in the flight path for the island’s airport. Another island which is perfect for families is Daydream Island. Whilst dad plays ‘put put’ golf with the kids, mum can be pampered in the luxury spa. After few hours of quality time together, the family can all meet up again to enjoy a visit to the amazing outdoor aquarium, where everyone gets the chance to get up close with the sting rays. The resort also offers an open air cinema and some superb restaurants. After you’ve paid for a mooring, you can enjoy many of the resorts facilities, and if you’d like to stay overnight that can be arranged too. At 9km long, Long Island is a natural wonderland of local flora and fauna, walking tracks, and coral reefs. It’s also home to Long Island Resort at Happy Bay which has excellent day care facilities, pools and entertainment. Molle Islands are a series of wooded islands with white sandy beaches and azure waters. South Molle, the largest, offers walking tracks with breathtaking views, and in late spring, underwater snowstorms, in the form of spawning of coral. There are many more islands to be explored, but perhaps the most famous, and the most photographed, is Whitsunday Island with Whitehaven Beach and Hill Inlet. Its picture perfect turquoise waters and white silica sand make this island heaven on earth. Sailing in the Whitsundays is for everyone. For families looking to explore islands with plenty of facilities and restaurants, for couples looking to get away from it all, and for nature lovers who come to admire the scenic beauty and the fantastic ocean life of Hump Backed Whales, dolphins, turtles and colourful reef fish. 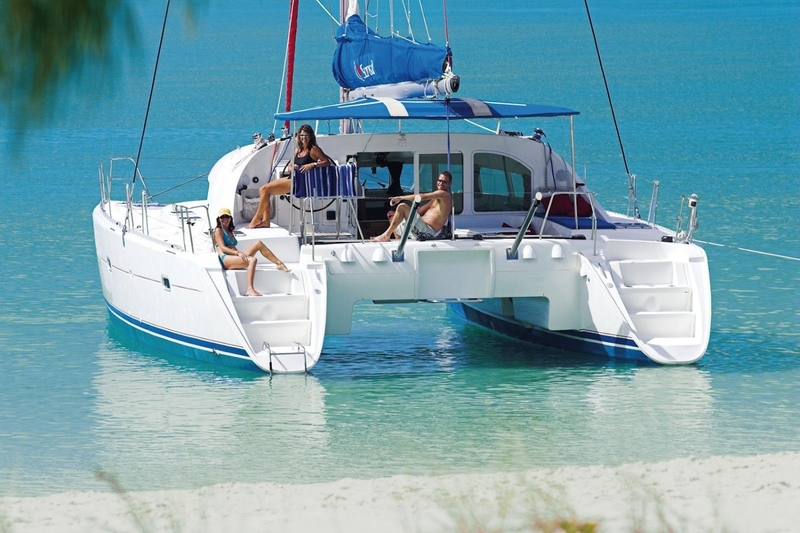 For day trips or longer, the experience of sailing in the Whitsundays is unforgettable.